STONY BROOK, NY, November 15, 2012 – Stony Brook University unveiled its latest engineering feat, a 1.5 billion pixel Reality Deck, at a demonstration held at the University’s Center of Excellence in Wireless and Information Technology (CEWIT) on November 15. The Reality Deck, a 416 screen super-high resolution virtual reality four-walled surround-view theater, is the largest resolution immersive display ever built driven by a graphic supercomputer. Its purpose and primary design principle is to enable scientists, engineers and physicians to tackle modern-age problems that require the visualization of vast amounts of data. Other cities have ice skating rinks, festooned store windows and soaring Christmas trees. But Philadelphia has something all its own. 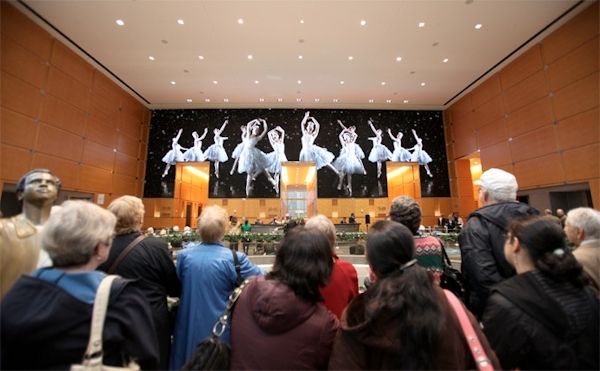 Celebrating its fifth year, the Comcast Holiday Spectacular returns to Philadelphia for the 2012 holiday season starting Thanksgiving Day, Thursday, November 22. Since its debut in 2008, more than a half million people have seen the show. 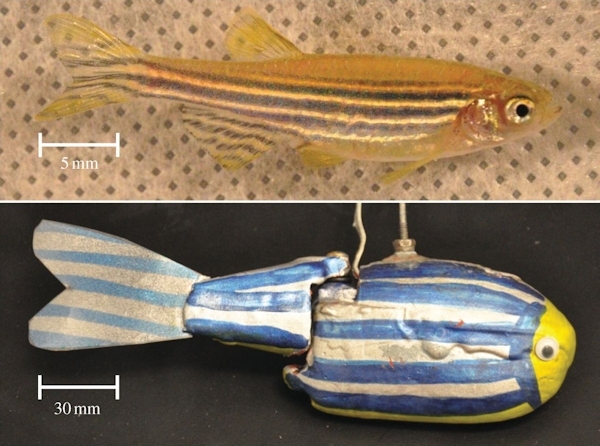 Robotic fish can make real fish like them simply by waving their artificial tails in a special way, researchers say. These droids could lead real fish away from perils such as underwater turbines, and help scientists learn more about how real animals behave, investigators added. Roboticists have long turned to nature for inspiration when designing robots. For instance, a robot that copies roaches’ ability to quickly disappear under ledges could lead to droids with animal-like maneuverability, while another robot can alter its colors to hide or stand out in its environment just like an octopus. Robot fish convincing enough to lead groups of real fish around are being developed by mechanical engineer Maurizio Porfiri at the Polytechnic Institute of New York University and his colleagues. 21-25 September 2013, Paphos, Cyprus. 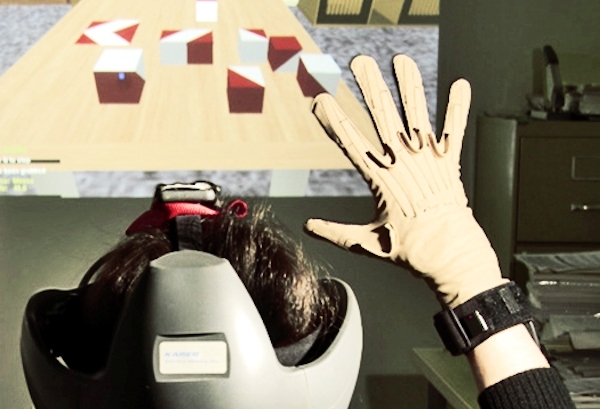 A virtual reality test being developed at UTSC might do a better job than pencil-and-paper tests of predicting whether a cognitive impairment will have real-world consequences. The test developed by Konstantine Zakzanis, associate professor of psychology, and colleagues, uses a computer-game-like virtual world and asks volunteers to navigate their ways through tasks such as delivering packages or running errands around town. The emergent field of Intelligent Distributed Computing focuses on the development of a new generation of intelligent distributed systems. It faces the challenges of adapting and combining research in the fields of Intelligent Computing and Distributed Computing. Intelligent Computing develops methods and technology ranging from classical artificial intelligence, computational intelligence and multi-agent systems to game theory. The field of Distributed Computing develops methods and technology to build systems that are composed of collaborating components. The symposium welcomes submissions of original papers on all aspects of intelligent distributed computing ranging from concepts and theoretical developments to advanced technologies and innovative applications. A virtual reality 3D “cave” created by the University of Hull has been commissioned to provide training for wind turbine engineers and green energy industries. The Higher Education Funding Council has awarded £240,000 to the University to develop the training facility in the Hull Immersive Visual Environment (HIVE), which will be used to simulate the most extreme and hostile conditions that workers in the green power industry face. Hull’s scheme is part of a multimillion pound investment in the renewables sector, which has been led by the University’s low carbon hub, CASS.